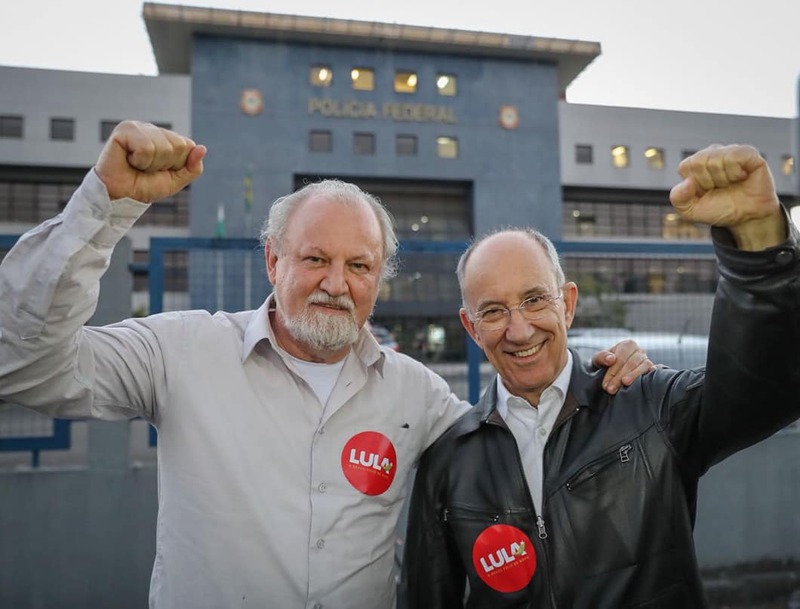 Brazil’s ex-president Luiz Inácio Lula da Silva, who is being held at the Federal Police headquarters since April 7th, received the visit of Rui Falcão, former chair of the Workers’ Party, and João Pedro Stedile, from the National Coordination of Brazil’s Landless Workers' Movement (MST). During the visit, the ex-president once again reiterated he is running for president in the country’s upcoming election in October, and talked about current events, as reported by the visitors afterwards. Read the ex-president’s statements below. Lula: The interests of capitalists from the United States to control Brazil’s economy are becoming increasingly clear every day. The visit of the US vice president to Brazil, the subservience of this coup government, all this shows that the United States is losing ground to China and Europe, and they want take over control of Latin America’s economy again, as a way to gain advantage and have better conditions than their rivals in terms of natural resources. The illegitimate coup government is speeding up, as much as it can, the process to hand over [the country’s] oil and energy patrimony, which is Eletrobras. And they are likely to depreciate the government’s shares in Vale [mining company], so that it can move its headquarters to a different country. I’m outraged. I am innocent. There is no evidence presented by [judge Sergio] Moro, only assumptions. And now there are these manipulations involving the TRF4 [appeals court] and some Supreme Court justices. I just want the Supreme Court to review my case and look at the evidence and the arguments on both sides. I just want justice. I want the Supreme Court to fulfill its role and guard the Constitution. And to do that, they need to rule on the ADC [direct action for the declaration of constitutionality] filed by the PCdoB [Communist Party of Brazil] regarding the imprisonment of people while their case is still pending appeal. I am running for president. I will be a candidate. I am going to fight for this until the end. Politics is rotten. It has completely alienated the people and true democracy. I think that, after we win the elections, we must set up a constituent assembly to push through a comprehensive political reform, and give back to the people the right to decide the future of the country. We need to radicalize politics, in a good way. Mobilizing more and more people, organizing our people, designing a people’s government platform to promote the comprehensive reforms the country needs and face the economic, social, and political crisis. And we’re going to change Brazil starting in January [when the next president will take office]. Stay strong. I thank the Brazilian people who is supporting me, giving me energy, supporting me [to run] for president. I thank the activists who remain unshakable, organizing the people. Only the people who are organizing can stop this madness promoted by coupists and the court system. To activists holding the vigil in Curitiba, who remain strong supporting me for more than 90 days, my deepest love and respect. I think that, in the future, we will have to give each and everyone a medal. 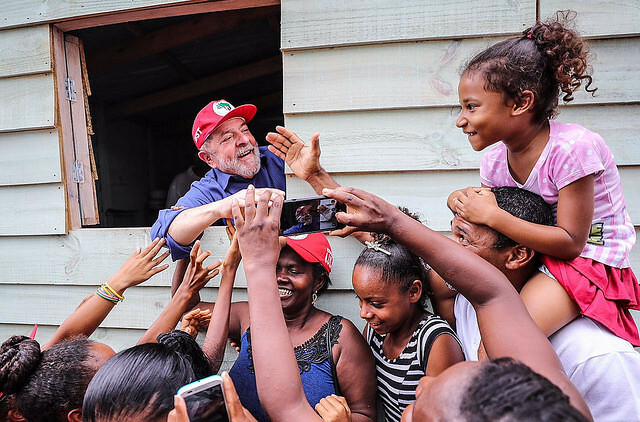 To MST and People’s Brazil Front activists, my comradely embrace. I will be forever grateful for everything you are doing.